A bombshell audit by the US Department of Housing and Urban Development (HUD), Office of Inspector General (OIG) discovered that a record number of over-income families still live in public housing. According to the report, as many as 25,226 families audited had incomes exceeding HUD’s 2014 eligibility income limits — yet they continued to receive public housing assistance. Of these families, 17,761 had been earning more than the qualifying amount for over one year. HUD regulations only require families to meet eligibility income limits when they are first admitted to the public housing program. There are no qualifying follow-up checks in place. HUD did pass a rule in 2004 giving public housing authorities the option to establish policies that would monitor and regulate these situations. But the 15 housing authorities contacted by HUD in their audit chose to allow over-income families to remain in public housing instead of requiring them to find housing in the unassisted market. The auditors noted that HUD will be paying over $100 million next year to house over-income families in units which could be used to house low-income families. Over 25 percent, or 6,442 of the over-income households studied were one-person, 8,566 were two-person households and 10,218 were households of three or more. Case 1 – New York City Housing Authority, New York, NY – The Authority admitted the family to the program in November 1988, and it had been over-income since at least 2009. As of November 2013, the four-person household’s annual income was $497,911, while the low-income threshold was $67,100. Three members of the household earned income. The member with the highest income earned $275,757. In addition, the head of the household owned real estate that produced $790,534 in rental income between 2009 and 2013. As of July 2014, the family paid an income-based ceiling rent of $1,574 monthly for its public housing unit. According to the Authority, it did not evict this family from its 3-bedroom unit because its policy does not require it to terminate the tenancy or evict families solely because they are over-income. The Authority believes that allowing over-income families to reside in public housing is beneficial because it shows that participation in the public housing program can help families achieve a more stable life and the average rent paid by over-income families is greater than that paid by other low income families. 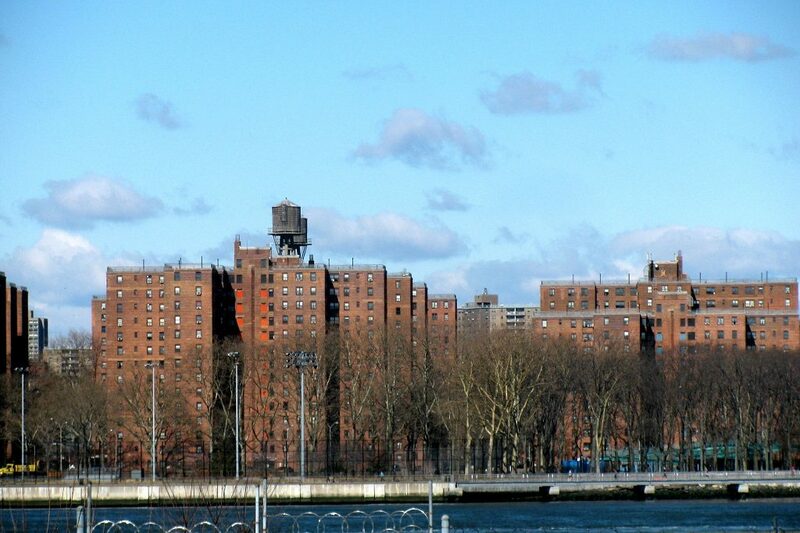 The greatest number of over-income families living in public housing in the country was in New York City, with 10,903. NYC also had the greatest gap between over-income families and families on waiting lists with 10,250 over-income families and 302,079 families on the waiting list.